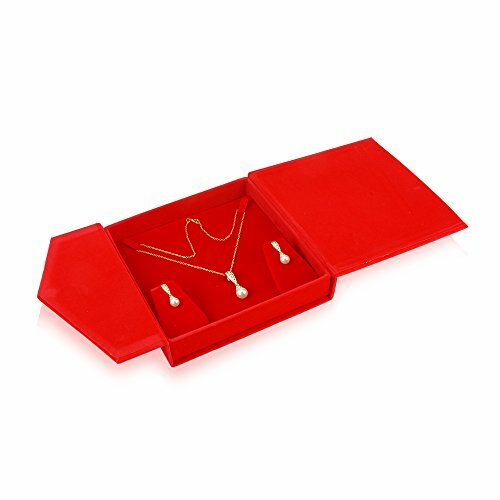 Elegant, attractive and beautifully colored, this lovely and stylish jewelry box offers an efficient and professional manner of storing and arranging various items of jewelry! 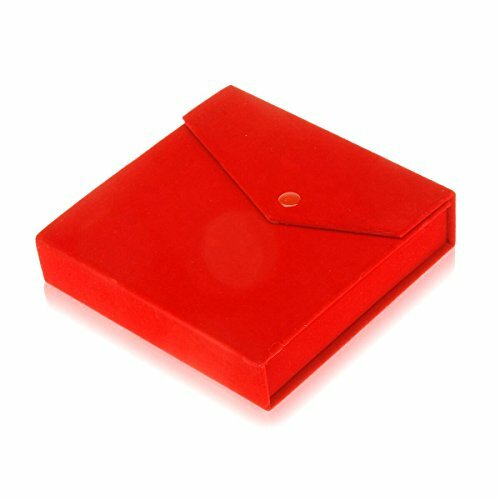 The box has got a fine square shape design and it has been constructed out of durable and resistant cardboard material that will also protect your belongings. It is sporting a bright and rich red design that will definitely stand out anywhere you keep it! This interior of the box has been just as elegantly designed and it is covered with soft and chic red velvet as well. It is perfect for storing and displaying pairs of earrings, necklaces and pendants as well so it will definitely come in very handy too. 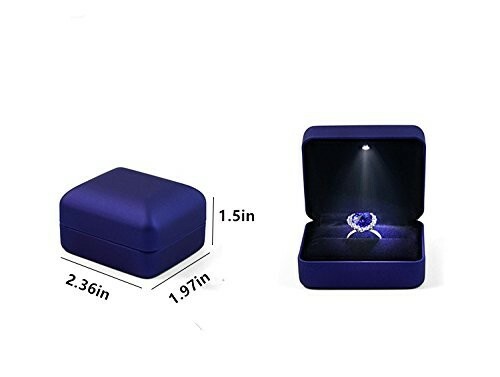 Moreover, the item comes in three different sizes, you can get the small sized one, the medium sized one or the large sized version, depending on your needs and jewelry. It will also come in very handy when it comes to the storage and transportation of your belongings and it will keep them safe at all times as well. 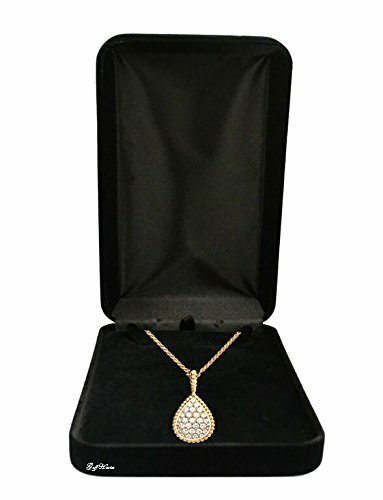 It is an amazing product of jewerly display that will certainly be very much admired! 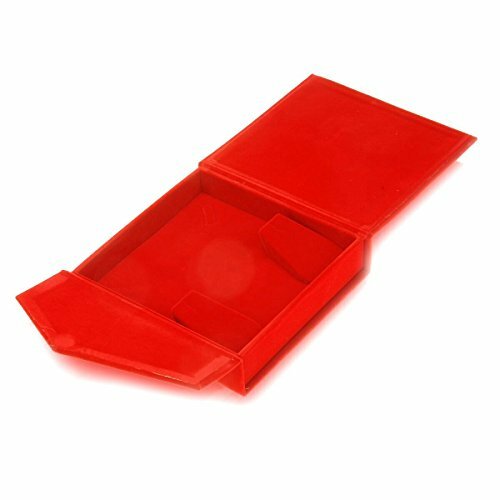 If you want to offer your beloved jewelry a more special and classy presentation and also a safe manner of storage, then this amazing and wonderfully colored jewelry box is by far a most ideal choice, so we strongly recommend it! 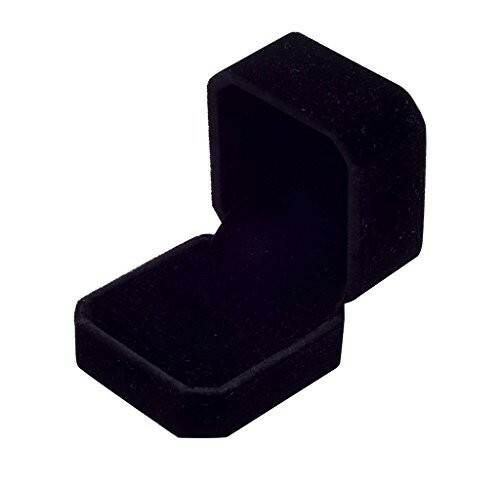 The dimensions of this jewelry box are the following: 6.4 x 6.1 x 1.8 inches and its weight is 7.2 ounces.